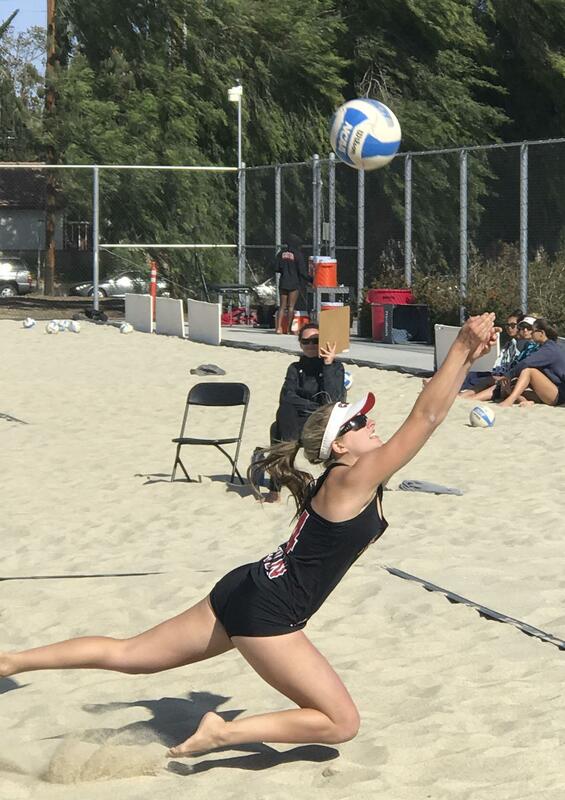 CSUN beach volleyball split their matches, defeating UC Bakersfield, 3-2, and losing to No. 16 Loyola Marymount, 4-1, while battling nasty winds at the Matador Beach Volleyball Facility. The Matadors are now at 14-6 on the season. The Matadors faced Bakersfield first, they defeated the Roadrunners already this season two times including one sweep. Bakersfield got on the board first in the opening matches, winning No. 2 and No. 4 leaving No. 1, No. 3 and No .5 to pull out wins. The Matadors’ first score came from No.1 Katie Sato and Aeyrn Owens, sweeping the Roadrunners 21-18, 21-14. Lauren McMurray and Autumn Russell evened the match out in the No. 3 spot, also sweeping Bakersfield 21-17 and 22-20, leaving the match up to the No. 5, Lauren Conati and Nicolette Pinkney. Conati and Pinkney had gone all three sets in their match with the Roadrunners. Bakersfield took set one 22-20, then Conati and Pinkney took sets two, 21-16, and three, 15-8, to get the victory for the Matadors. “It was fun watching Nic and Loco [Conati] win the last match. It was an intense game and it was exciting to watch them battle it out,” Pinkney said about her two teammates sealing the win for the Matadors. Match two the Matadors No. 1 Owens and Sato went a full three sets against LMU scoring, 21-12, 18-21 and 15-12. No. 4 also went a full three sets, Erin Indermill and Daniella Molinari scored 21-17, 17-21 and 15-12, also losing to LMU. No.3 match with Russell and McMurray was CSUN’s only win in the match-up sweeping LMU 21-16 and 21-16. The two other matches on the day were sweeps from LMU. 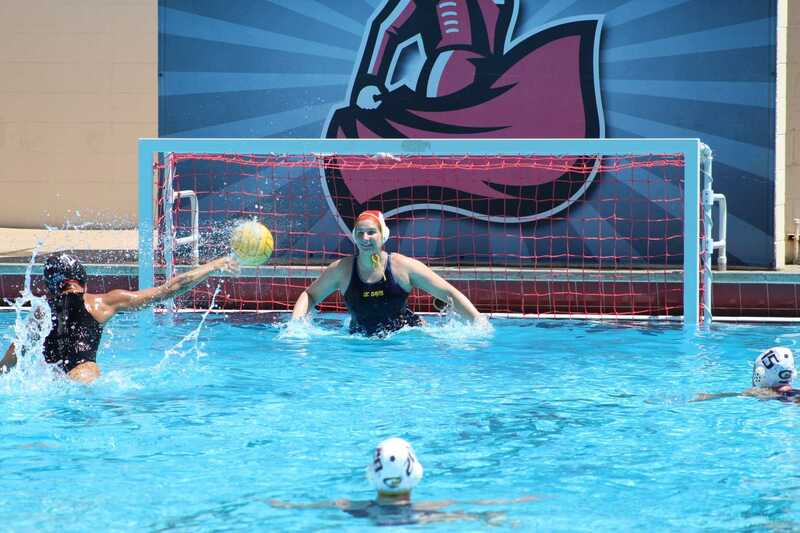 CSUN’s last home game of the season will be Thursday, April 19 against Cal State LA at 11 a.m.